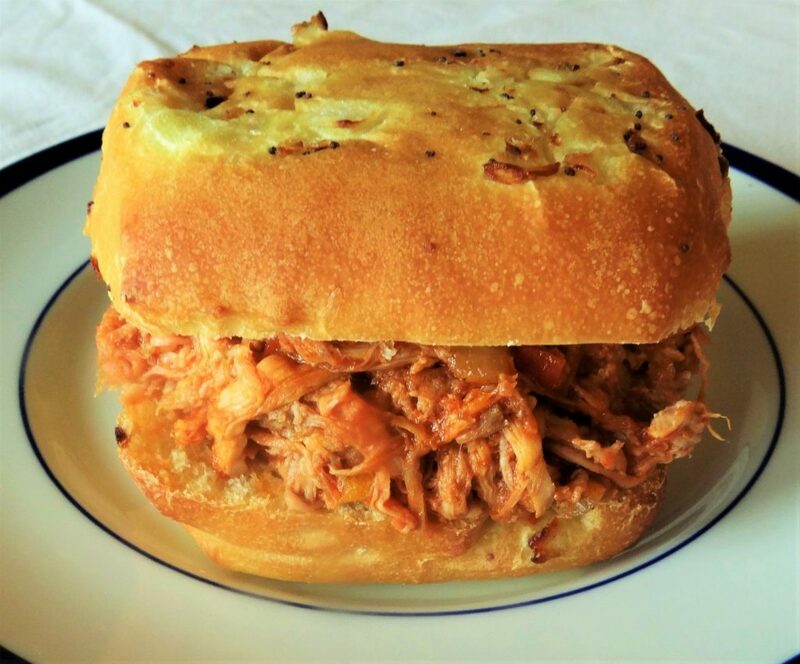 Are you ready for some yummy, Slow Cooker Barbecue Pulled Pork? Okay, but I have to ask something first. Are any of you drawn to those little recipe booklets in the check out lanes at the grocery store? You know, the ones with beautiful pictures and simple recipes. I have a basket full of these beauties in my kitchen and they contain many of my “go-to” recipes. 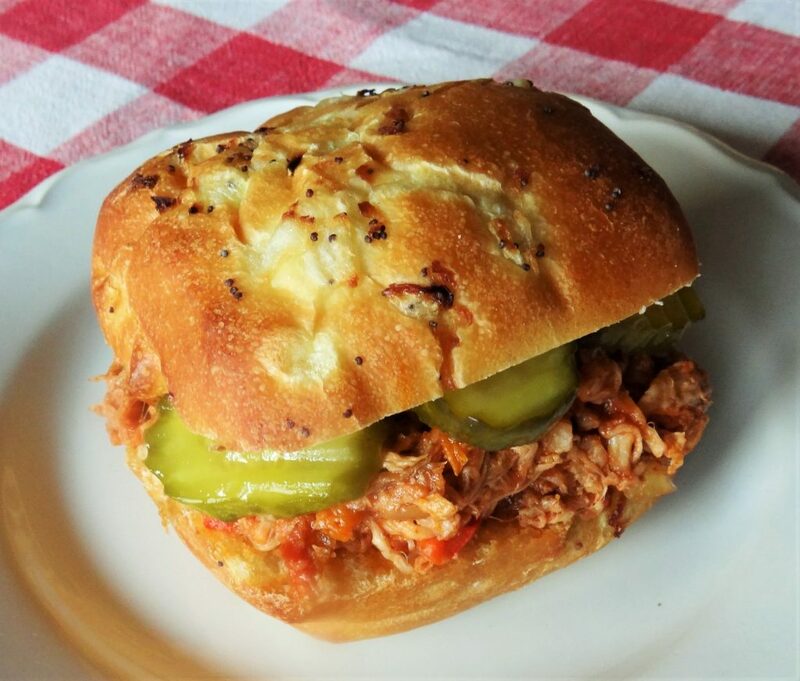 That is where I found this recipe for Slow Cooker Barbecue Pulled Pork. It is so delicious, my mouth is watering just thinking about it. The recipe is super easy and can feed a crowd. Several years ago we were stationed at a pilot training base in west Texas. My husband worked with an amazing group of military personnel and I had the privilege of getting to know many of the spouses. Our calendars were full with military events, school activities and lots of fun parties. We often hosted social events for the students and their families sometimes once a week. When these events involved a squadron and their families, the events were filled with lots of people, fun and food. That is where this recipe for Slow Cooker Barbecue Pulled Pork came in handy. Our parties were often casual and the theme was usually pot luck. Now, what that means when it comes to military spouses is you are going to get a spread of amazing food! This recipe is a definite crowd-pleaser. And I love recipes that you can put together the night before an party and let the slow cooker work its magic while you sleep. All you need is a large pork shoulder and most of the other ingredients you probably have right in your pantry. The original recipe calls for a combination of beef chuck roast and pork shoulder. I like making it with all the variations. Sometimes with beef and pork. Sometimes with just port. And when I make it with all beef, I use the left overs for yummy Chimichangas. Either way, as it cooks overnight or all day in the slow cooker, it gets juicy, tender and soaks up all the flavors of the spices and other ingredients. 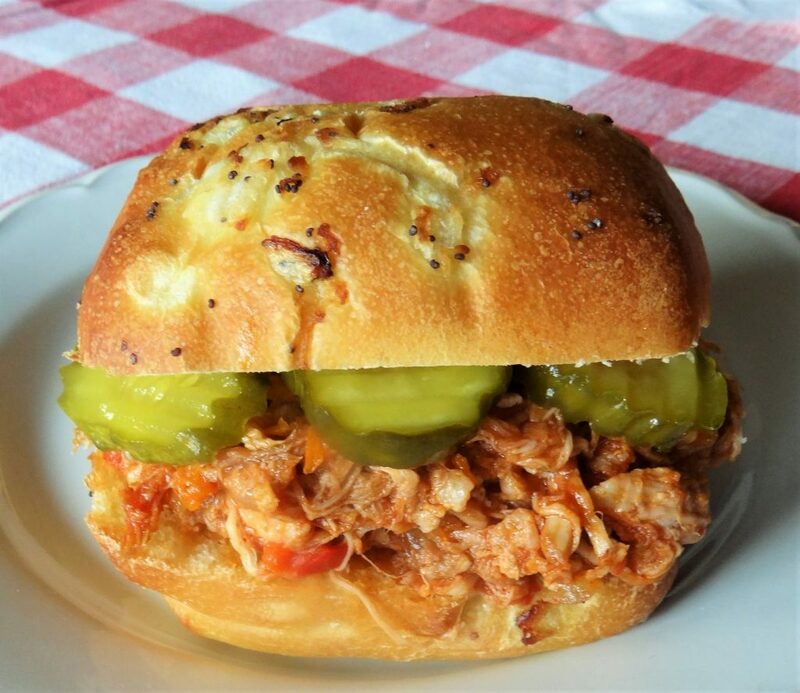 I think the best way to serve the pulled pork is on soft onion rolls with cole slaw or sweet pickles. So, with the holidays coming and football season in high gear, consider making a batch of Slow Cooker Barbecue Pulled Pork. It will feed your hungry crowd and there might even be some left overs for the rest of the week. Brown meat in a large frying pan on medium heat 2 minutes on each side. Place meat and remaining ingredients except tomato paste, barbecue sauce and buns in 4- to 5-quart slow cooker. Remove beef and pork from the slow cooker, using slotted spoon; place on cutting board. Strain liquid and return cooked vegetables to the slow cooker. Shred meat, using 2 forks. Return meat to slow cooker. Stir in tomato paste and barbecue sauce. Increase heat setting to High. Cover and cook 10 to 15 minutes or until hot. To serve, spoon ⅓ cup meat mixture into each bun. Top with cole slaw, sweet pickles or sweet onion slices.